JUST LISTED!! Great 3 bedroom ranch in sought after area! Don't be deceived by the small exterior appearance here... there is so much space inside!! 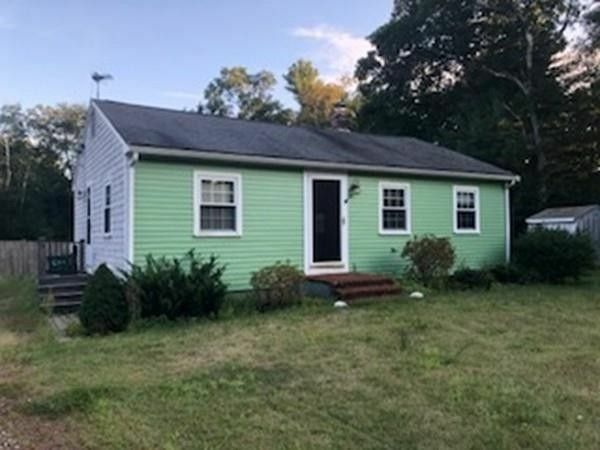 In addition to the 3 bedrooms, you have a generous living room/kitchen area.. all open floor plan with hardwoods and then a full bath on main level. Downstairs you have a finished basement with a half bath, your laundry room and additional space for a family room, home office, many options here!! Huge yard off the back deck.. possibilities are endless for outdoor entertaining. Don't dismiss this one.. good things do come in small packages! Directions: School St. to Plain St.